After finishing up my wall cabinet "Moving On" I decided I needed to take a little break from the shop and from writing about the shop. Sometimes you need to step back and get some perspective. I've been busy helping my brother move his family into a new home and do some needed renovation and updates. I don't mind hanging, taping, and mudding drywall. I do hate plumbing. He needed help and guidance with both. If I think about it I needed a breath after what has been a long year. In early spring I was part of a successful week long surgical mission trip to Nicaragua. I followed that with buying a house myself and moving family and workshop into the new digs. Around that time my father had open heart surgery which was a scary and emotional time. I flew down to Florida to move my sister back home to Wisconsin. I had to remodel and rewire our laundry room. And I also had two surgeries to remove a painful kidney stone this fall. That's 8 projects this year mixed in with a half a dozen minor things I haven't counted and everything else. Until I sat down and recounted it all out, I would have said I accomplished less than I wanted to this year. It makes me wonder what I could accomplish if I could work in the shop full time. Looking back is important to see where you've been. It helps you plan where you're going. I have a couple things coming up this year. The first is I plan to participate in the Shop Stool Build-Off sponsored my Chris Wong over at Flair Woodworks. 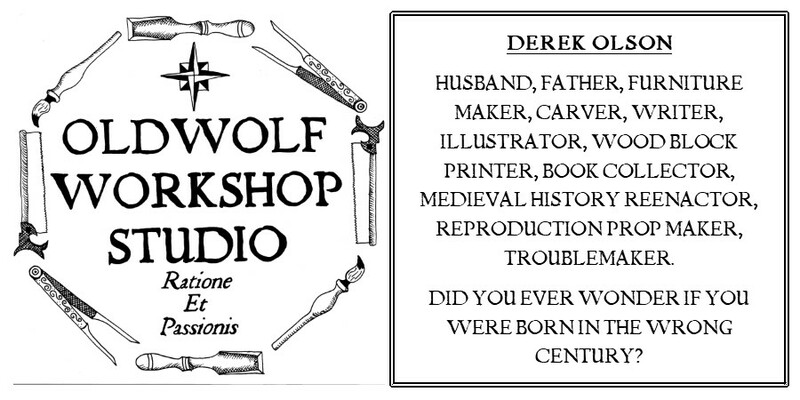 On January 25th Chris is leading a group of online woodworkers in a live blogging event. The goal, build a shop stool, any style, any kind, anything your heart and imagination can concoct and build it and live document the process. If it sounds interesting to you head on over to Chris's page (http://flairwoodworks.com/shop-stool-build-off/) and sign up to participate. I'm looking forward to being a part of it. 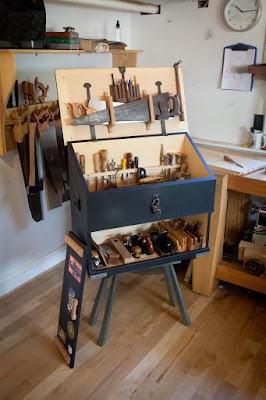 Another cool thing, and I'm not sure how much I can talk about it yet, is I've had one of the big woodworking magazines agree to let me write a project article for them. I'm not going to give away any details until I'm sure I can, but I plan to document some of the process here to share the experience with others who may want to write their own articles someday. It's a very big deal to me, Something on the bucket list as well as a stepping stone to other things. The best kind of opportunity. As far as learning skills and stretching my wings in the shop, I plan on diving into veneering and marquetry in the upcoming year. It's a process I know I've had bad thoughts about and said worse things about in the past. I hate that veneer is a thing that can hide MDF boards and crappy construction, but I have finally come to admit that if I want to build period pieces then veneer, marquetry, parquetry, and inlay are processes I have to get comfortable with and knowledgeable about. I have some of my own ideas about creatively applying them to projects I envision too. After I finish a small, promised project, I will most likely start the new year with a couple different takes on Roy Underhill's Candlebox. Parquetry and carving will be included in my take on the project. I want to thank you for sharing my adventures for this year and hope you will stick around to see where the journey goes from here forward. Merry Christmas, Happy Holidays, and a Prosperous New Year to you all. Looks like a good year. Taking time for a little self reflection is always a good thing to do. We get so busy with everything we want to do and everything we are doing that we forget about what we have done. Have a Merry Christmas and I look forward to seeing you in print. Have a great new year in the shop. Good news on the magazine article. I hope it all comes to print for you. You deserve the recognition.